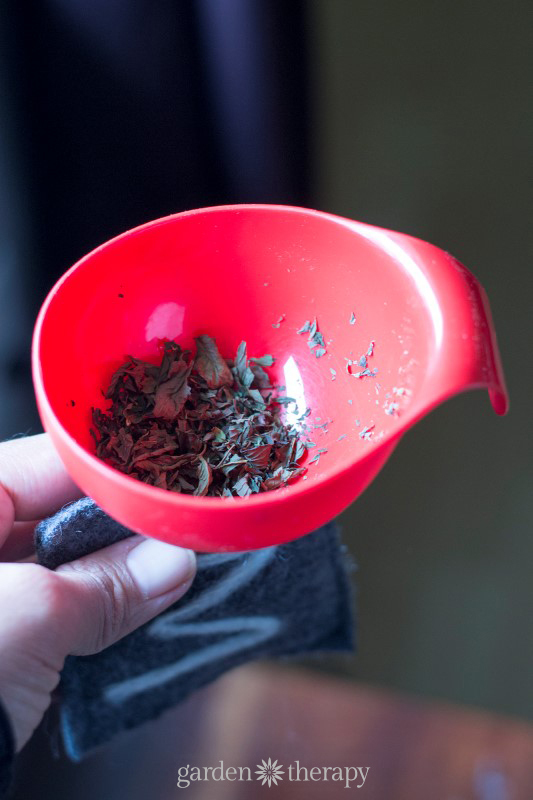 These herbal drawer fresheners keep folded laundry smelling fresh. They are simple to make, which is good because you will want to make plenty of them! These drawer fresheners are made from the thrifted wool sweaters that I felted originally to make tea cozies. 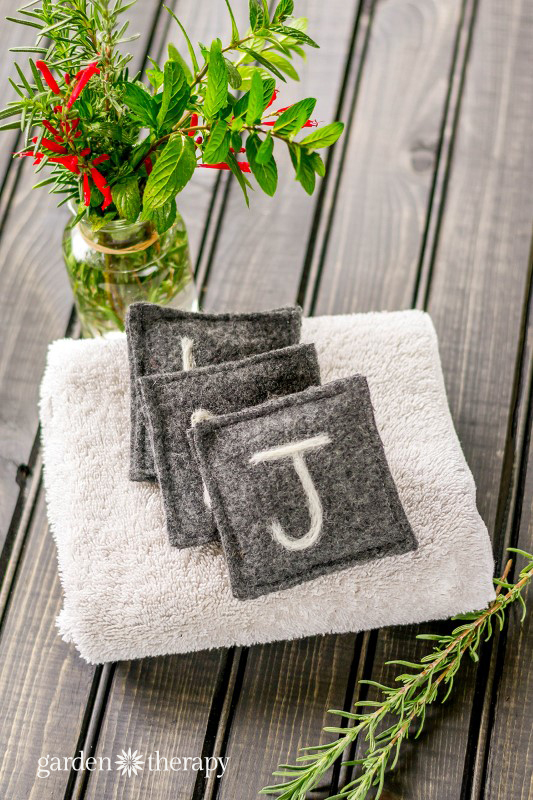 You can also use fabric, but with the felted wool, you can needle felt initials on the sachet for a personalized touch. 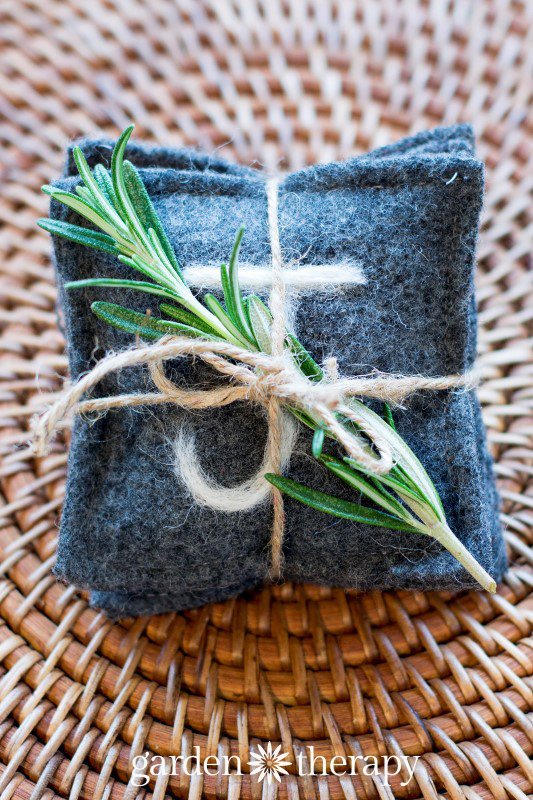 Package up a few monogrammed drawer fresheners for a handmade gift idea that anyone would love! Hunt through your spice cabinet for dried spices such as cinnamon, star anise, fennel, and cloves. 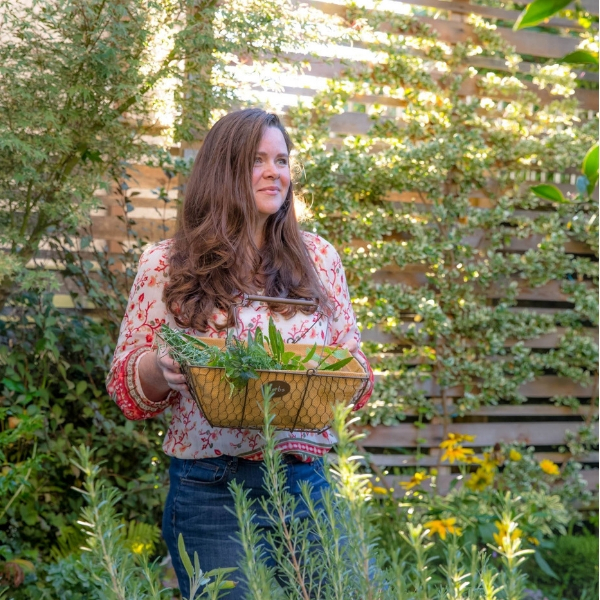 Use dried flowers petals like rose, calendula, and peony which remain fragrant when dried but are often times more useful in natural beauty recipes and potpourri where their beauty isn’t hidden away. Cedar chips are said to keep moths away and have a pungent aroma that keeps clothes fresh. 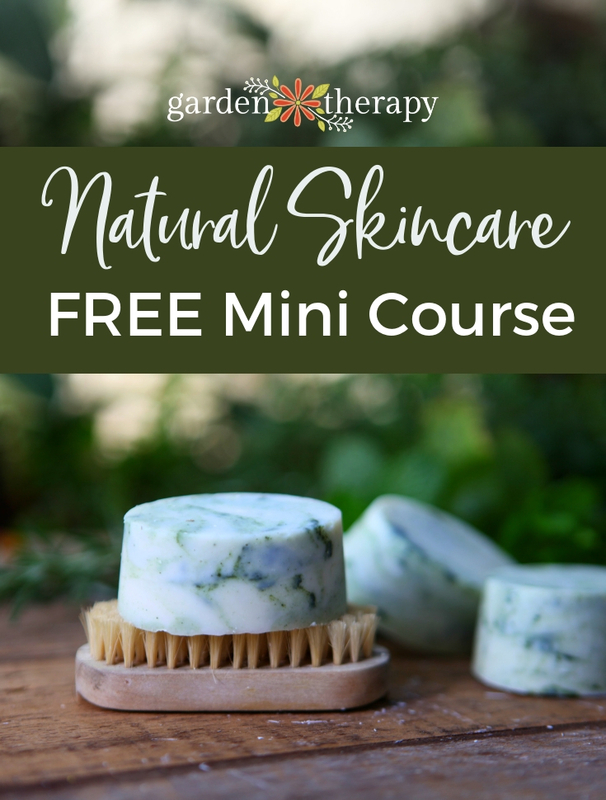 Or skip the herbs altogether and fill them with rice scented with essential oils. Whatever you decide to use, think about how you want your clothes (and your family wearing the clothes) to smell. Cut the fabric into 3 1/2 x 3 1/2 inch squares. 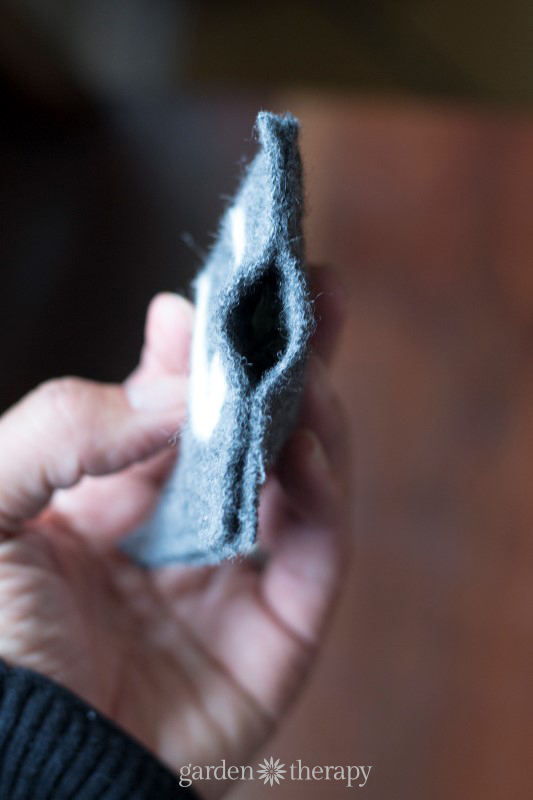 I felted wool because it doesn’t fray when it’s cut—a big time saver when sewing. You will need two squares per sachet. 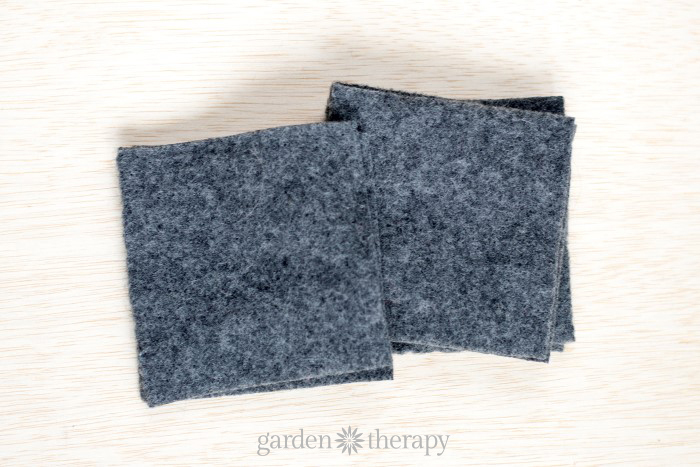 Take a look at How to Felt Wool to learn how to felt thrift store sweaters. 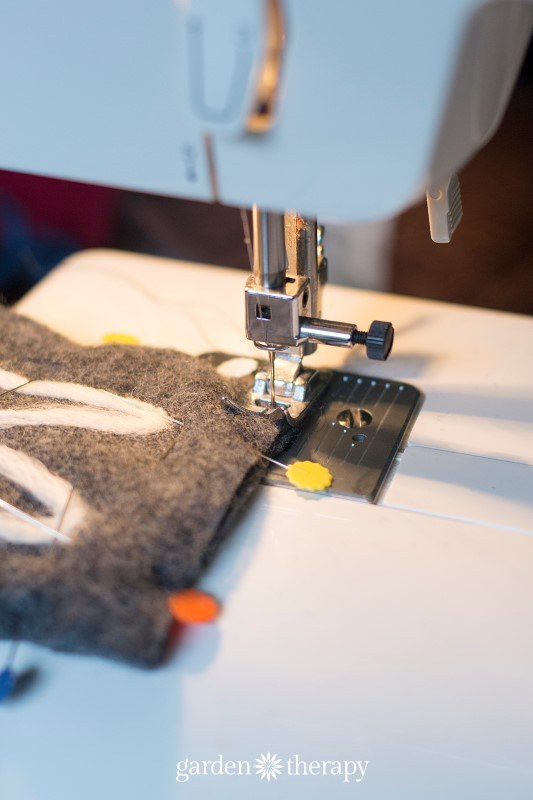 If you want to add a design to the felted wool, it’s best to do so before you sew. Again, I like to use wool because it’s easy to add a pretty design or monogram with a felting mat. 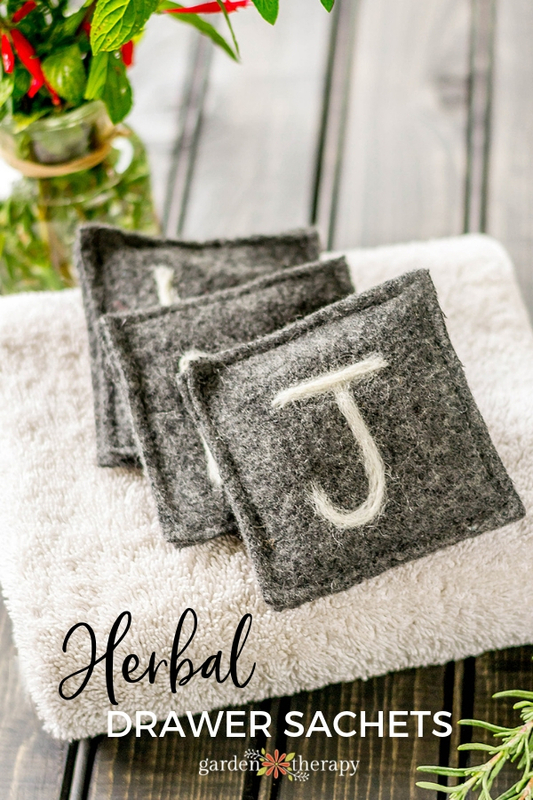 Check out No-Sew Mug Cozy tutorial to see how to use a felting mat. Pin two squares together and sew a 1/4 hem around three sides. When you get to the fourth side, leave an inch-long opening in the middle of the fourth side. Back stitch on both sides of the opening to reinforce. 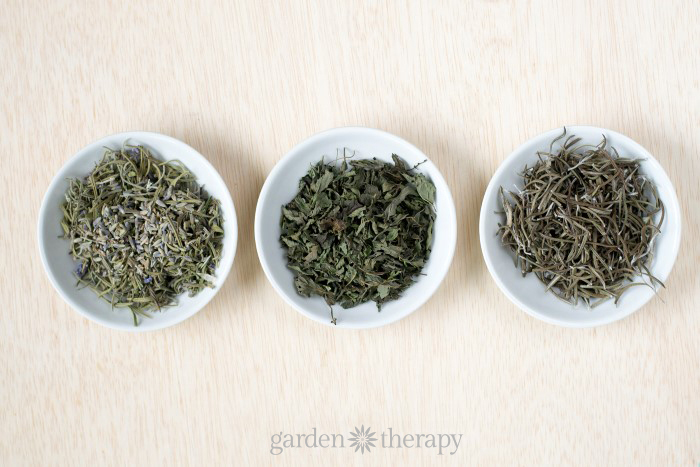 Using a funnel or spoon, fill the square with the dried herbs. You don’t need to stuff it until it bulges, just until it’s full and no herbs are spilling out of the opening. Once filled, sew the opening closed on the sewing machine. Add these fragrant drawer fresheners to your kids’ sock drawers, your husband’s gym bag, or a linen closet: anywhere that can use a boost of herbal freshness! They also make wonderful gifts. Sew up a few extra for stocking stuffers, housewarming gifts, or bridal shower favors. Wherever your decide to put them, they will be a lovely reminder of a summer garden’s bounty every time you smell them. Hi there mates, how is all, and what you would like to say concerning this article, in my view its genuinely awesome in favor of me.